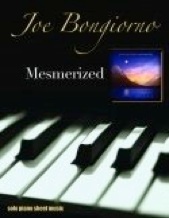 The Mesmerized Songbook is the companion songbook to Joe Bongiorno’s 2009 CD by the same title. All twelve songs appear in sheet music form transcribed by the excellent and incredibly accurate Rebecca Oswald. The pieces range in difficulty from Joe’s easiest (“Breathless”) to one of his most difficult (“Face To Face”) with the majority of them in the mid-range (early-advanced to advanced). A few are composed in difficult key signatures, as noted below, but most are in very accessible keys. “Face to Face” also has extensive double flats (bb), which not all pianists are familiar with. Oswald always does a beautiful job of making the scores look clean and roomy, which makes for easier reading. A few pieces have a reach of more than an octave, but most of the notes are within easy reach of an average-size hand. The music is printed on a heavy paper stock with very clear printing, and best of all, it’s spiral-bound! Mesmerized is a lot of fun to play, and I recommend it! 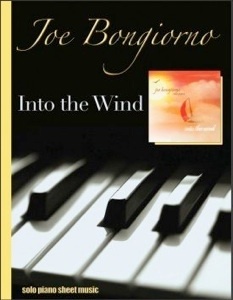 The contents of the book are listed below in the same order that the songs appear in the book. I’ve included a difficulty ranking with 1 being the easiest of Bongiorno’s pieces and 5 the most advanced. I have also indicated what key the pieces are in, how many sharps or flats there are in those key signatures, and how many pages the songs are. 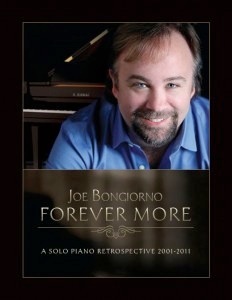 The book is available from Joe’s website.